When there are children–sometimes many children–running around the house all day every day, it’s handy to have a quick and easy cookie recipe at your fingertips. Because at some point you’re going to need some cookies, stat. And maybe the children will want one, too. This recipe will make both you and them happy. I felt the need to make amends after dissing a Moosewood cookbook the other day (is there a special karmic penalty for that, do you think?). So I pulled one of my many Moosewoods off the shelf and flipped through it. And right away the book (Simple Suppers) reminded me to make these cookies again, because they take five minutes and can be smooshed full of Nutella. What’s not to love? This is a cookie that you can take in a few different directions. Need a tray of warm cookies 15 minutes from now? Preheat your your oven while you mix the ingredients then scoop and flatten 1″ balls of dough onto your cookie sheet, and you can be enjoying soft butterscotch-scented bites of love after 8 minutes of baking. Maybe you could have them ready even sooner. Or whip up a batch of dough, roll it into logs and freeze it, then cut it into quarter-inch slices and bake your cookies into nice uniform wafers, ready to be nibbled alone or– don’t forget these cookies’ highest calling!–sandwiched together with Nutella. 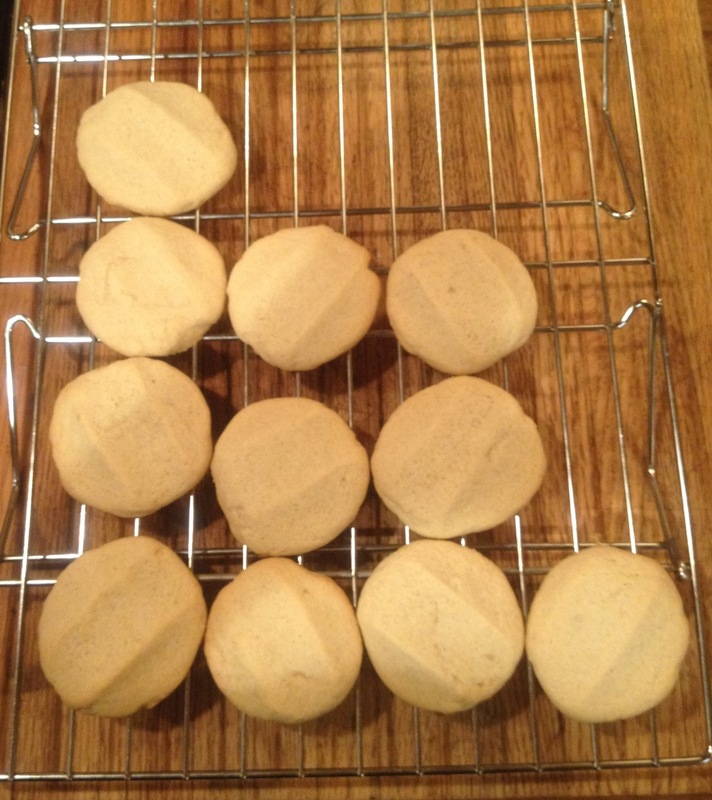 However you decide to bake the little beauties, the recipe is simple. Cream a stick of butter with a cup of brown sugar, then add an egg, a tsp. of vanilla, and 1/4 tsp. salt. Scrape down your bowl and then mix in 1 1/2 c. all-purpose flour. Voila. Now is the time to freeze them in 1 1/2″ diameter logs, if you can wait; or go ahead and bake ’em now. Bake at 375 until the bottoms are just getting light golden for a soft cookie, or until they’re golden brown for a crisp wafer (8-12 minutes). This entry was posted in Baking, Cookies, Desserts, Easily Multiplies to Feed a Crowd and tagged baking, children, chocolate, cookies, dessert, lifestyle, recipes on January 24, 2012 by emmycooks. Ok I’m thinking I might have to make these. They look delish! I don’t think you dissed Moosewood! Sometimes things like that happen. I have a Moosewood cookbook that I used all through my vegetarian years. And now I never look at it unless it’s for Green Goddess salad dressing. These sound delicious! 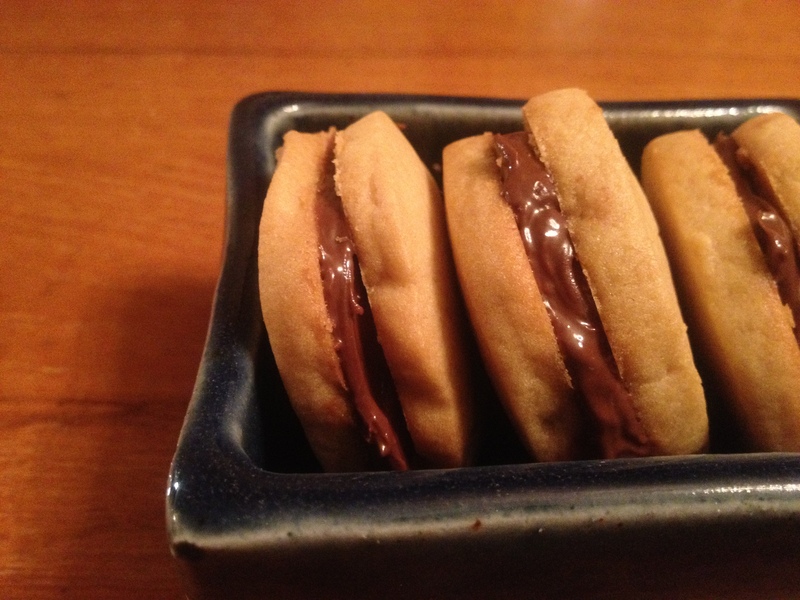 I LOVE Nutella and cookies…it’s a match made in heaven. I hate making cookies, but these look quick and easy, plus there’s Nutella! Lol, I think it’s okay to diss Moosewood. I usually don’t like vegetarian/vegan cookbooks.